Residential & Business One Off & Contact Cleaning Service Clapham Junction SW11 | Quality Property Care Ltd.
Don`t wait to take the benefits of using our domestic and commercial regular cleaning services in Clapham Junction SW11 from Quality Property Care Ltd. company. We are opened for all types of service orders: domestic cleaning on a regular basis, daily regular cleaning, single deep cleaning and etc. Discuss the details with our polite and kind customer support representatives and feel the pleasure of living in a hygienic space without an effort! Call us on 020 3746 4287 right away! Quality Property Care Ltd. is a trustworthy regular cleaning company with great experience in the field and amazing wide ranges of cleaning services suitable for all type customers necessities and requirements. Upon request we can also provide cleaning equipment. Note that we work with natural and eco-friendly cleaning detergents only. Our residential cleaning company in Clapham Junction SW11 hire only well-trained and experienced professional cleaners. We instruct them to approach each customer with an individual attention and support. In addition to these, the professional cleaners from Quality Property Care Ltd. are all insured and vetted. We can prioritize certain areas of the property as mandatory and others as option to ensure that certain things are cleaned properly within the booked time slot. We can kitchen appliances cleaning including microwave, fridge and oven cleaning. 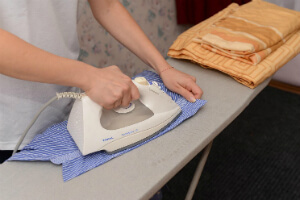 It’s possible to request the ironing of clothes, bed changing, laundry sessions, flower watering, pet feeding, and window cleaning on occasion. When booking you can give us a checklist which you want us to follow, the cleaner then follows said list to the T, ensuring that everything on it is desired and cleaned. In detail our lists are separated by room, starting from the kitchen. Dear customers, our reputable regular cleaning company works 365 days per year with no exception for weekends or holidays! We accept orders on house cleaning in Clapham Junction SW11! Use the online booking for for direct reservations! Quality Property Care Ltd. is always glad to help you with home or hygiene office maintenance! Get a free quote now or ask for more additional information via phone call on 020 3746 4287 phone number!